The amazing benefits of pomegranate are boundless. 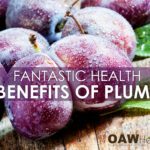 Besides being great for your health and well-being, pomegranates get high points in the delicious column. 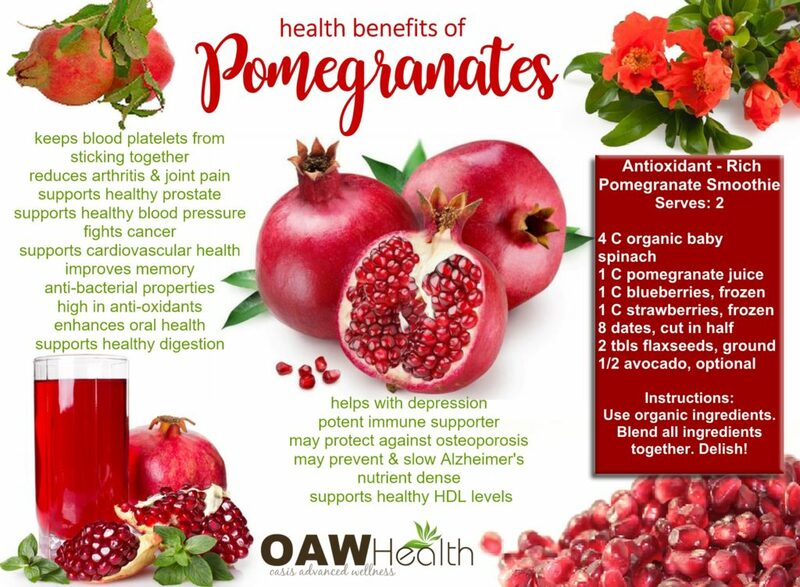 Pomegranates provide anti-oxidant, anti-viral and anti-tumor benefits as well as being a great source of vitamins such as vitamin A, vitamin C, vitamin E, magnesium, potassium and folic acid. Another health benefit of pomegranate is that it consists of three times as many antioxidants as green tea or wine. 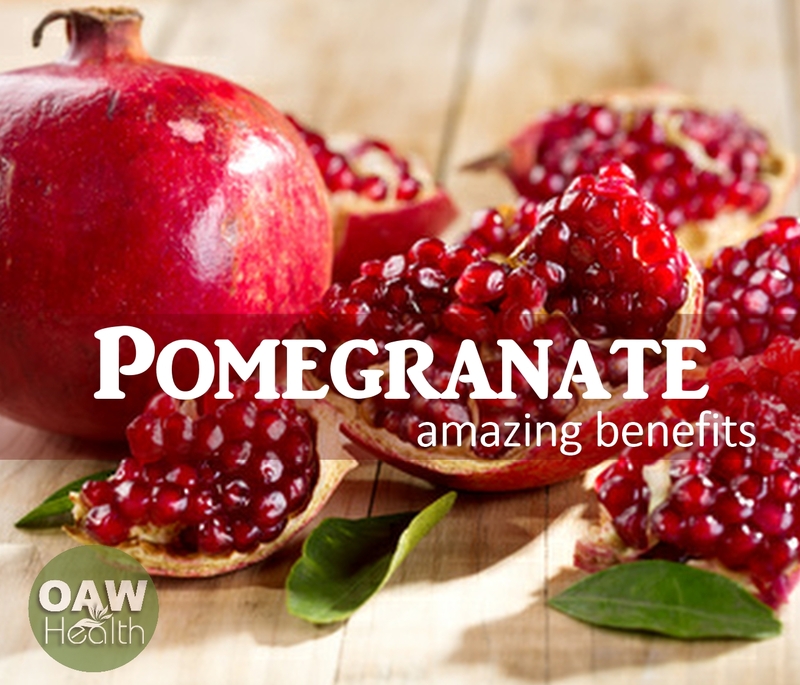 The amazing benefits of pomegranate can be savored by eating them in several ways. Pomegranates can be consumed in the form of pomegranate juice or you can eat the seeds. You can also find pomegranate syrup, paste, nectar and concentrate. Pomegranate syrups have proven useful for cartilage damage and even protecting babies from brain damage incurred during birth. In my opinion, one of the best benefits of pomegranates is their ability to promote healthy aging. Check out a visual of how to open a pomegranate here. Of course, pomegranates are a healthy and delicious snack all by themselves. 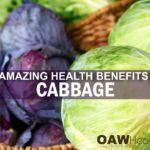 They also add goodness to smoothies, homemade kefir and yogurt and on top of raw salads and vegetable dishes. 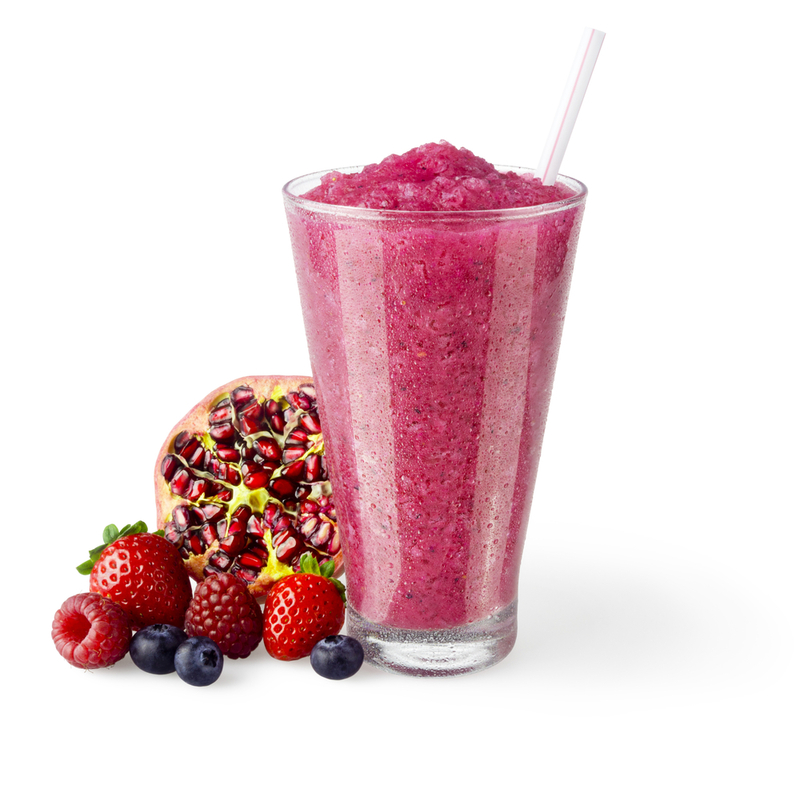 Blend all ingredients together in high speed blender. Delish! GreenMedInfo October 16, 2012. Research: Pomegranate May Reverse Blocked Arteries. Eur J Nutr. 2014 Aug;53(5):1155-64. Br J Nutr. 2013 Mar 14;109(5):802-9.Eur J Nutr. 2015 Jul 10. Pak J Pharm Sci. 2014 Nov;27(6):1837-40.